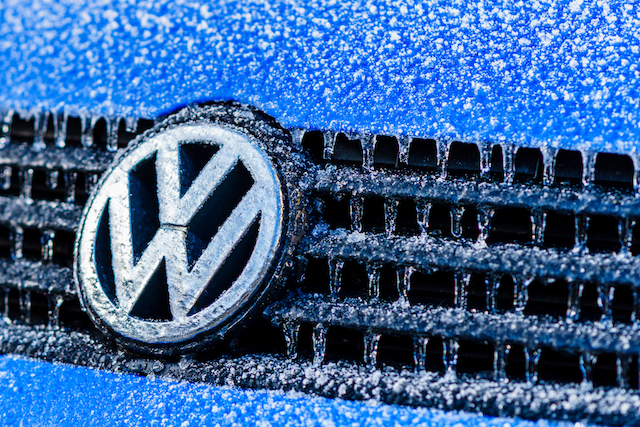 Volkswagen Diesel Scandal: Does VW Owe You? Waiting for Volkswagen to buy back or repair your car affected by its emissions-cheating scandal? Some VW owners don’t have to wait much longer. A judge has formally approved the company’s settlement in the amount of $14.7 billion for its 2-liter Turbocharged Direct Injection (TDI, or diesel) engine — the largest auto-industry settlement in U.S. history, according to the Los Angeles Times. The Environmental Protection Agency busted Volkswagen in September 2015 for cheating emission tests on its TDI engines. VW rigged the engine’s electronics to improve performance during emissions testing. Since then, VW has worked with the EPA and the Department of Justice to develop a settlement. Now that it’s been approved, customers can choose between the two settlement options. If you leased one of the impacted model years, you can opt for the repair or terminate your lease. About 475,000 owners of Volkswagen Jetta, Touareg, Golf, Beetle and Passat TDI models are eligible, along with Audi A3 TDI owners, with model years ranging from 2009 to 2015. The settlement over the 3-liter TDI engine hasn’t been negotiated yet. Whether owners have their cars bought back or choose to have their vehicles updated with an Environmental Protection Agency-approved repair, they’ll also receive a cash payout of between $5,000 and $10,000, depending on car’s value and other factors. Lessees are also eligible for this payout. If you own a VW or Audi model with the affected 2-liter TDI engine, you can visit the company’s settlement website for eligibility information and to file a claim. But you may have already heard from Volkswagen. TPH junior writer Carson Kohler drives a 2014 Touareg 3.0 TDI, and she received a letter prompting her to register for a “goodwill package” that included a $500 Visa gift card, $500 Volkswagen gift card, and a three-year 24-hour roadside assistance package. She used the Volkswagen gift card to get her car’s alignment adjusted. “Now we’re just waiting for more information after this approval,” she said. She shouldn’t have to wait too long. Now that the 2-liter TDI engine is settled, VW can turn its attention to righting its wronged 3-liter TDI owners. Your Turn: Is Your Volkswagen TDI eligible for this huge settlement? Will you take the buyback or the repair?